In early 2017, some of Hall's work was selected to digitally exhibit internationally, as a finalist in Art Venice Bienniale IV as part of The Biennale Project. Captivated by light and the colour of, Hall exhibited her first light sculpture / installation in 2014. This motivated her desire to infuse her painted works with the colour of light - not as easy as initially imagined - it took a year of experimentation before Hall produced her first successful light infused 'sketch'. 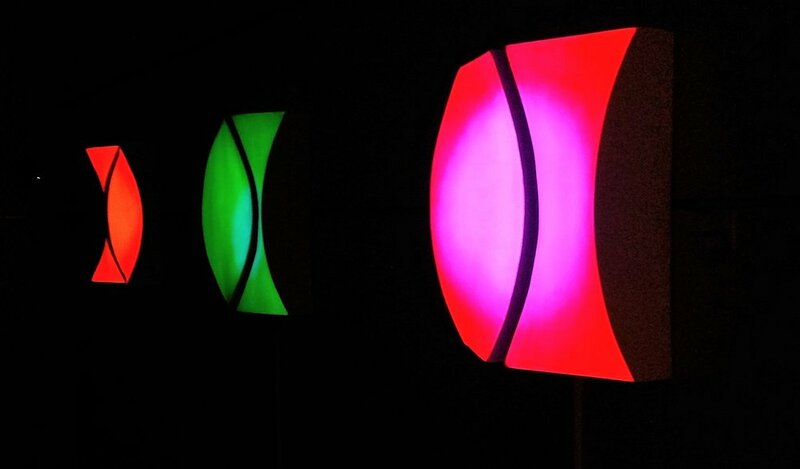 That same year Hall's light sculpture 'Flirt' was long listed in the Aesthetica Art Prize, England (2015). Excitedly, Hall works with light from her studio in Nelson, New Zealand. Working concurrently between light infused painting and light sculpture. 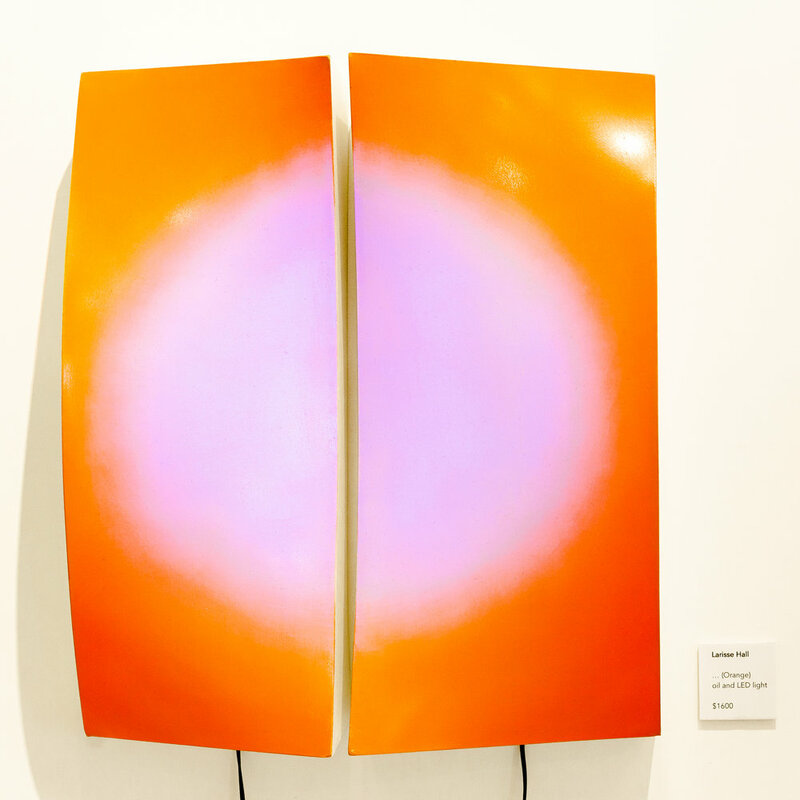 Combining the ethereal quality of light with the materiality of paint and form, Hall fuses traditional techniques of painting with the science and colour of physical light. Her signature works of art are time trans formative. The brighter the external lighting conditions, the more painted her work appears. As it darkens however, the painting recedes. This enables the colour and energy of internal light to shine. Transforming Hall's work into light art.